•recognize and evaluate common bone and soft tissue tumors. •understand the principles of tumor evaluation and the findings that necessitate a referral to a sarcoma center. 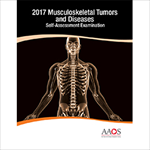 •recognize common adult bone and soft-tissue tumors and distinguish between those for which observation only or surgical treatment is needed, and determine when patients require evaluation for possible sarcoma. •recognize common pediatric conditions affecting bone and soft-tissue that require only observation or excision and to distinguish them by clinical, radiographic, and histological means from lesions that are worrisome for malignancy. •identify the important features of metastatic disease to bone (including its epidemiology, pathology, and common differential diagnoses), appropriate diagnostic test selection in various clinical scenarios, accurate interpretation of clinical and radiographic information, safe and judicious performance and interpretation of biopsy, and selection of treatment. 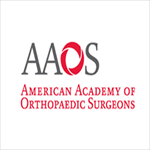 •recognize synovial processes including those associated with synovial cysts, synovial chondromatosis, and pigmented villonodular synovitis, distinguish them from sarcomas, and recommend appropriate treatment.